Step by step, the dream draws ever closer. One place to ask for all things Fiat, Ferrari, Lancia, Alfa (classic and new) is Mal Simmonds at Dino Services in Cambridge - there's nothing he doesn't know about them and a nice guy to chat about alternative trim and lights with. Hi Ross, great to hear someone with the similar passion is in NZ and in Auckland! Thanks so much for the contact and hints for items, as far as lights go I am all sorted apart from the main headlights - Just trying to work out whether I go sealed pods/bodies which will mean access required through the headlight cover or semi/sealed H4 with pilot and some rearwards protection of the loom/connectors etc. I may have to wait until the kit arrives to see how much room I have got. I have the Italian teardrop side repeaters, carello glass clear indicators (see previous post) and Chris in the uK has already received the Lancia Stratos/Ferrari-esque rear assy's with centre strip reflector. Have been in contact with Chris recently and hoping for some updates soon. Keep in touch! (I will look into the hints you have given me!) Cheers. They are the ones I have Jag and very nice they are to. Came direct from Italy with no issues. As I have mentioned above I am hoping for some updates soon, I have the rear window shipping to Chris this week and the rubbers/trims etc. Also hoping to get the AST100 fuel filler from CBS if they can get stock back in. If not I need to find a decent priced/good standard locking fuel filler that will fit in Chris's 5" round recess on the rear wing. Likely to be Aston or Monza style for the look I am going for and not the "classic" ones. Have a look on eBay.com They have a lot of Monza style "gas caps". I bought mine from there and it was much cheaper than the ones listed in the UK. Don't forget to replace petrol with Gas in the search and make sure you don't get a motorcycle one as they are much smaller. Hours of fun to be had! I got mine from here, mainly because I wanted one to lock and the other just for show. Last edited by Barber; 29th November 2017 at 18:03.. Thanks guys for the fuel filler tips. I have been scouring Mocal/Burton/Europa/CBS/Ebay UK and US as well as others for weeks. Because I can't "touch and feel" I am just dragging my heels a bit on the purchase. I have a 5" round hole to fill (ooh err) and need to make a decision. As far as you guys go you have been happy with your purchases? Finish and construction good? Cheers. You may best go for a 3" like JagTVR. Fuel filler secured and on its way to Chris for inclusion in the kit. Settled on the classic look which makes it a bit more 250 GTO looking. Rear window is already with Chris so just waiting on parts supply of rubbers and trims to get there as well. Hopefully some photos in the next week, spoke with Chris last night and all the body panels are on a trial car being fettled/changed/adjusted so that the final panels can eventually be produced. Can't wait to see how it is forming up and how the windows will be looking. We are making a few changes in a few areas so I am hoping when able to show you it will be a fine looking beast with some surprises. How are things going matey? Any pics to share? Hi Barber, unfortunately not really. Chris is behind with the production, a few projects on the go, a bout of illness and the work involved in making the buck has been a bit more than expected. I have seen some photos of panels on the mule changing them to reflect the final buck but way off yet. 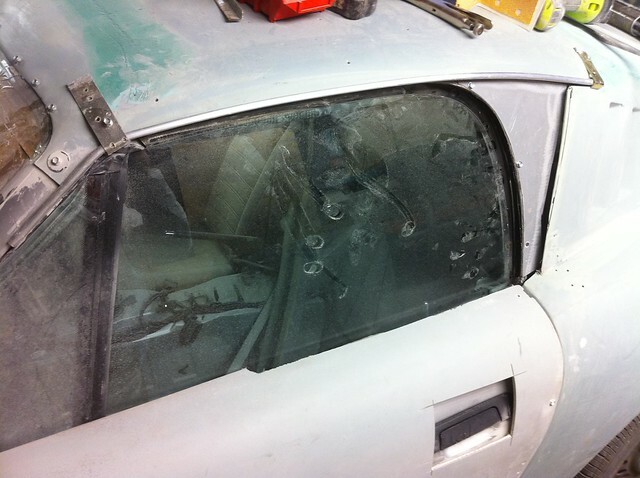 The areas for the windows hadn’t been worked yet and the rear window is being raised in the rear panel to be more like the original. Rear bootlid is getting widened as well. The original grey panels from Kidges kit are being sliced in certain areas to make the profile changes for the window transitions/changes work. Chris is back on deck 2nd Jan so hopefully once spoken with him I will have a better view on it. At present we have agreed a January production date, hopefully by third week if all goes well. Cheers! Enjoy the new year! Hi guys, quick update on what is happening my end. Chris is behind, but totally understand with the changes we are making, the amount of work he has on and the Xmas break etc. So we are in this position. Another set of hands coming into chris’s Workshop for a while who is tasked with getting the buck ready and mould/panels well underway. End result we are hoping panels will be finished and crated in about 5 weeks. So for me delivery will hopefully now be approx mid March. Look forward to sharing photos in the next fortnight when I have some, but the changes we are doing with the rear panel/window, recessed lights and fuel filler, the boot lid sizing and the windows being standard should be exciting! Keep ya posted! Sounds like progress is being made, we are looking forward to seeing the special work you are having done. Has Dan got any updates on the convertible 275 project ? Hi lucky, yup we are moving forward. The work being done will hopefully mean the standard windows are a viable option in these kits and I know is what Barber has specified for his Z3Gato so will help there. The other changes should make the GT lines/boot lines flow really well on the rear panel etc. No discussions with Dan so can’t really help on the convertible front, but would assume once the hard yards are done on the coupe, you would hope that both coupe and convertible are viable. Maybe drop Chris a line to find out more? Cheers. we are making progress. 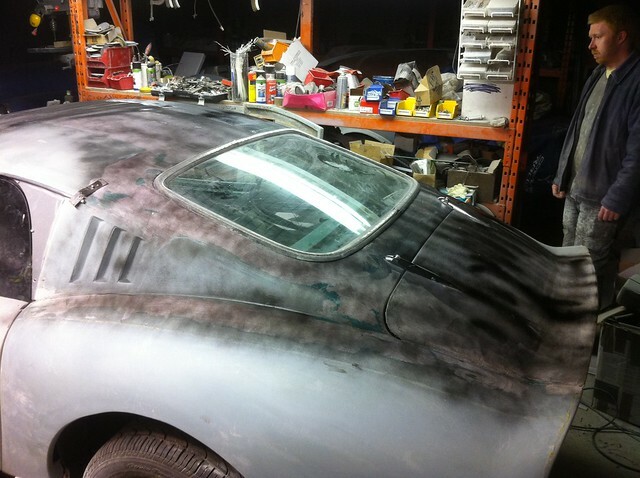 Here is a wee preview of the magic that Chris and Dan are cracking on with on my "Italia 275GTB". You can see below they are working on the L/H side of the car, to get the changes and lines right before they transpose to full buck and then eventually panel production. You will see we have raised the rear window lines on the car, making slight changes to the roofline to fit the new profile. 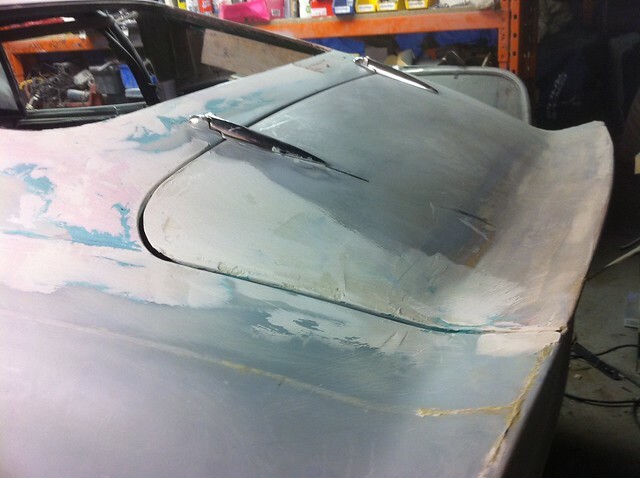 Bootlid has been widened to keep the lines of the rear arch flowing into that transition. Side Window shape is coming on, you can see we have kept the Z3 window but have put in an infill panel that once finished will reflect the lines of/tribute to the original 275 window shape. Chris/Dan are also working the rain gutter lines to reflect that shape as well and protect the new window setup. Love the work going into this, it is not easy and it needs skills that certainly don't sit with me to be able to do, so I can only thanks Chris and Dan so far for their dedication to get this project this far and eventually to completion. - Will update you once I have spoken to Chris for thoughts on when will be finished and when buck will show what the finalised panels will be like. I am a happy man! Great news, for you and me. The new roofline and windows work are needed for my car too, so I am happy for the development so far. As the planned capacity increase did not work out as planned, my front end work has largely been pushed back behind the 275. The rear cannot be done until the roof is finalised. But I am content for Chris and Dan to do the right things. I did a quick visit to Tribute last week to get a few pointers which were very helpful. I can't believe how much progress they have made in a week on the roof and door window area. Have sold myself on a Zagato convertible so am trying to save up some beer tokens. Having got a lot of pointers from Chris it has fired up my enthusiasm again which had been suffering due to the cold weather. Have managed to spend two whole days out in the cold working on my project and am making some progress. Looking very good , liking that ......The cold weather is a right bast@rd for working on the cars , I . like Chris and many others , work with the door open , valuing natural light ...so sometimes I actually go outside to warm up !! You are bang on! Spoke with Chris last night about the temps and they are battling on. Seems to be able to cope with it but wary of getting ill all the same! Chris is hoping buck will be in a “close to completion” state somewhere around the end of next week/start of the next. I agree that it is looking very good from what I can see, can’t wait for the next installment. I know that Chris is using this as a good development opportunity that will assist Barber, but likely to flow onto the wider kits they produce. The good news for me is all the changes have made the roof higher and wider which will assist in fitting in my pink crash helmet! Cheers! All times are GMT +0. The time now is 14:32.